13-year-old Matthew John­son has been pre­sent­ed with the Junior Boy title at the York­shire Sports Awards to top off yet anoth­er tri­umphant year. 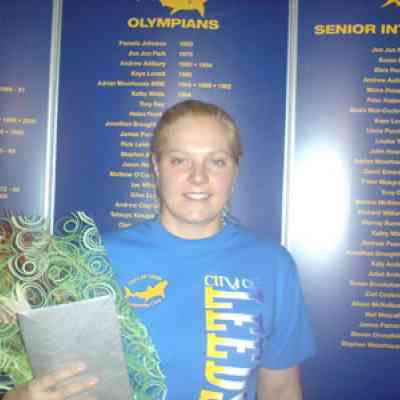 After a send­ing off at Club Night, Louise Gra­ham is set to leave the club at the end of the week. 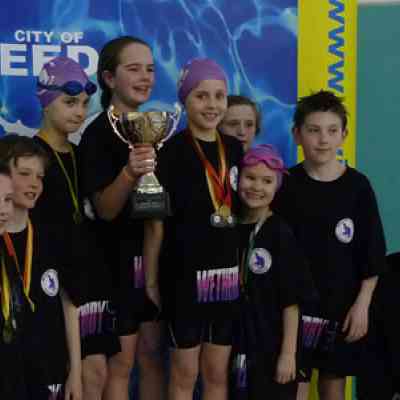 Out­stand­ing per­for­mances from Matthew John­son and Danielle Hall-Jack­son, helped the City of Leeds on their way to the Top Club award at the ASA Nation­al Age Group Championships. The young­sters from Wether­by put in some great per­for­mances to retain the Ken Binns Memo­r­i­al Trophy. Rachel Gar­den­er (15), Emma Gra­ham (15) and Stephen Water­house (17) have been select­ed to rep­re­sent Great Britain in var­i­ous end of sea­son internationals.